The Fraser River is the single largest river system in British Columbia; traversing three quarters of BC it is the major water drainage of the province. The Fraser River is the home of one of the world’s largest White Sturgeon populations. Anglers travel from near and afar to do battle with these magnificent ancient fish. 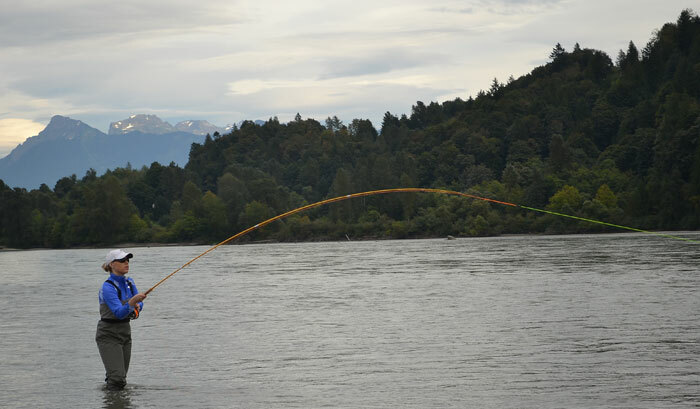 Not only does the Fraser River boast incredible sturgeon fishing, it is also known for its massive salmon runs, averaging 20-50 million per year. Sturgeon have an immense amount of power and speed, and are capable of peeling 200 yards of line off the spool in seconds. Even though Sturgeon are mostly bottom dwellers, their fighting ability can be compared to that of any BIG GAME sport fish. Sturgeon fishing is available year-round on the Fraser River with the main season running from April to the end of November. During this peak period, Sturgeon gorge themselves on the abundance of food present in the river system. With White Sturgeon able to exceed 20ft in length and more than 1,500lbs, every angler needs to get out on the Fraser River and have a chance at hooking into one of these prehistoric goliaths. 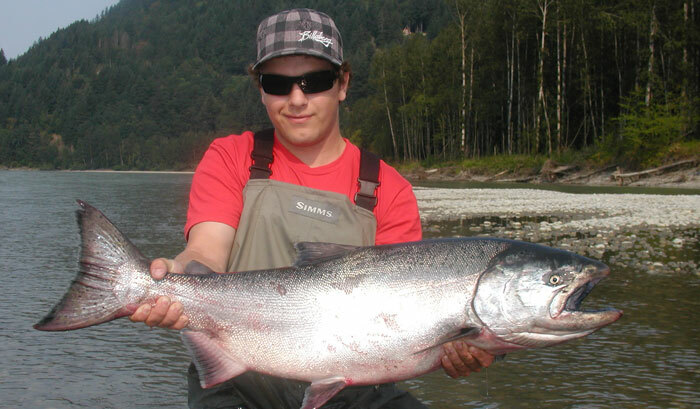 Forty five minutes east of Chilliwack is a beautiful stretch of river that offers a truly remarkable fishing experience. It is the beginning portion of the Fraser River Canyon where the river gets narrower, a lot deeper, and, a lot faster. 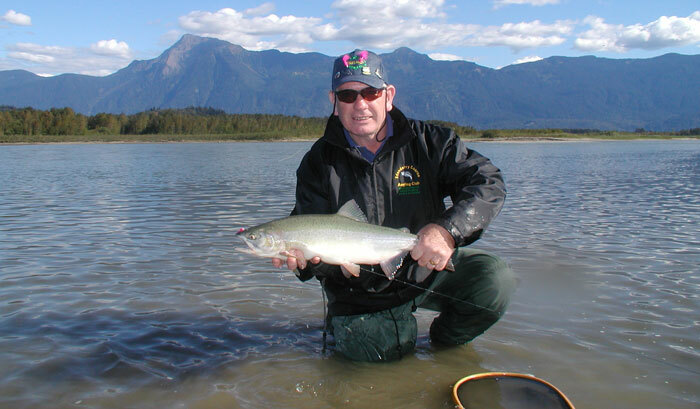 Most of this part of the Fraser River is simply unfishable, but the areas that are fishable, provide some amazing fishing opportunities BC has to offer. The towering canyon walls, the rugged mountainous terrain, and the impressive power of the Fraser River are what make this locations so spectacular. Featured on National Geographic’s “Fish Warrior” have an opportunity to fish the same area, with the same crew and catch some real huge monster sturgeon! Only fishable from June through August this highly sought after experience is by far our most incredible adventure. Learn more about our Wilderness fishing camp packages. 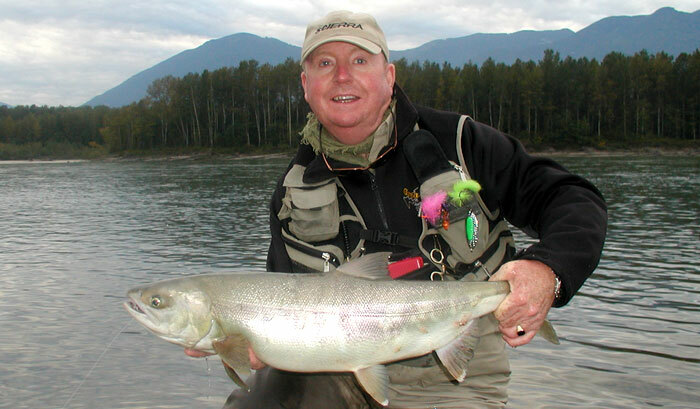 Salmon fishing in the Fraser River is nothing less than spectacular. It is safe to say that this is one of the top salmon fishing destinations in the world and to state that we have abundant runs of salmon would be a gross understatement. Each year, 10s of millions of these highly sought after sport fish migrate up our local rivers to return to their spawning grounds where they were once born. These annual salmon migrations provide some of the finest and most exciting fishing opportunities for those seeking the thrill of hooking into one of these hard fighting fish. Chinook Salmon are the first to enter the river in June. These are the largest of the Pacific salmon and are in the most prime shape they will ever be and often one will hook up with one of these brutes while fishing for sockeye; a long hard fought battle usually including a chase with the boat and a very happy and lucky angler is the end result. The Chinook or “King” salmon are usually present with the Sockeye allowing for another dimension of a day’s fishing. 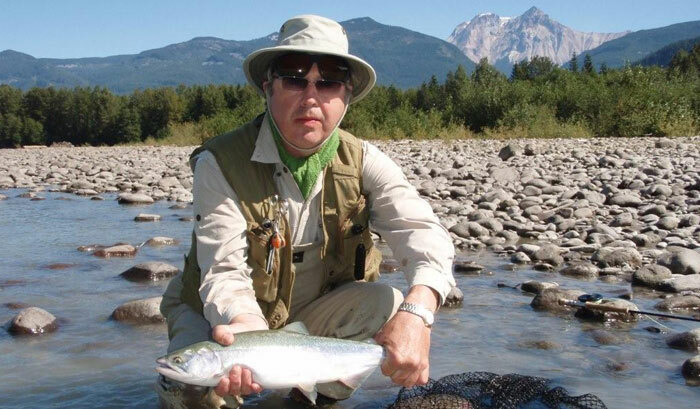 Entering towards the end of July and peeking usually towards the end of August Sockeye Salmon are an exciting fishery for beginners and advanced anglers. 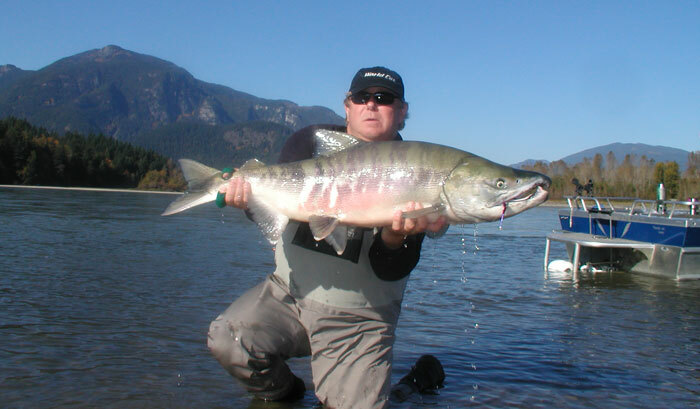 The Chum Salmon are known as fish that are eager biters and hard fighters. Large numbers are the norm and will test the stamina and skill of most anglers. 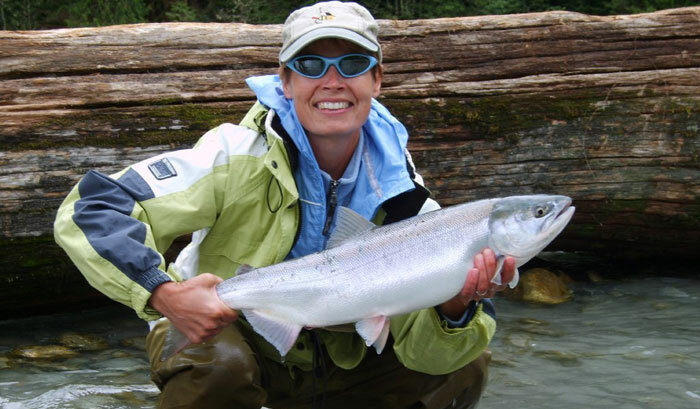 Planned at the right time you can also hook into the Coho Salmon making this a challenging and exhilarating day on the Fraser River. Pink Salmon enter the river towards the end of August on odd numbered years (2013, 2015, etc) The smallest of the Pacific salmon, what they lack in size they make up for in sheer numbers averaging 15 million returning each year. This is hands-down the number one fishery for introducing the novice angler or for an experience angler to hone their skills and have some fun.